10:22pm Scrobbled a song on Last.fm. 8:50am Posted a tweet on Twitter. I dreamed about a non-stop beach party and a beer-based sandwich. Crazy. 9:18am Posted a tweet on Twitter. 9:29am Scrobbled a song on Last.fm. 9:32am Scrobbled a song on Last.fm. 9:37am Scrobbled a song on Last.fm. 9:41am Scrobbled a song on Last.fm. 9:45am Scrobbled a song on Last.fm. 9:50am Scrobbled a song on Last.fm. 9:55am Scrobbled a song on Last.fm. DJ Jazzy Jeff & The Fresh Prince – Who Stole My Car? 10:04am Scrobbled a song on Last.fm. 10:09am Scrobbled a song on Last.fm. 10:13am Scrobbled a song on Last.fm. 10:19am Scrobbled a song on Last.fm. 10:25am Scrobbled a song on Last.fm. 10:29am Scrobbled a song on Last.fm. 10:34am Scrobbled a song on Last.fm. 10:38am Scrobbled a song on Last.fm. 10:43am Scrobbled a song on Last.fm. 10:47am Scrobbled a song on Last.fm. 10:52am Scrobbled a song on Last.fm. 12:38pm Posted a photo on Flickr. 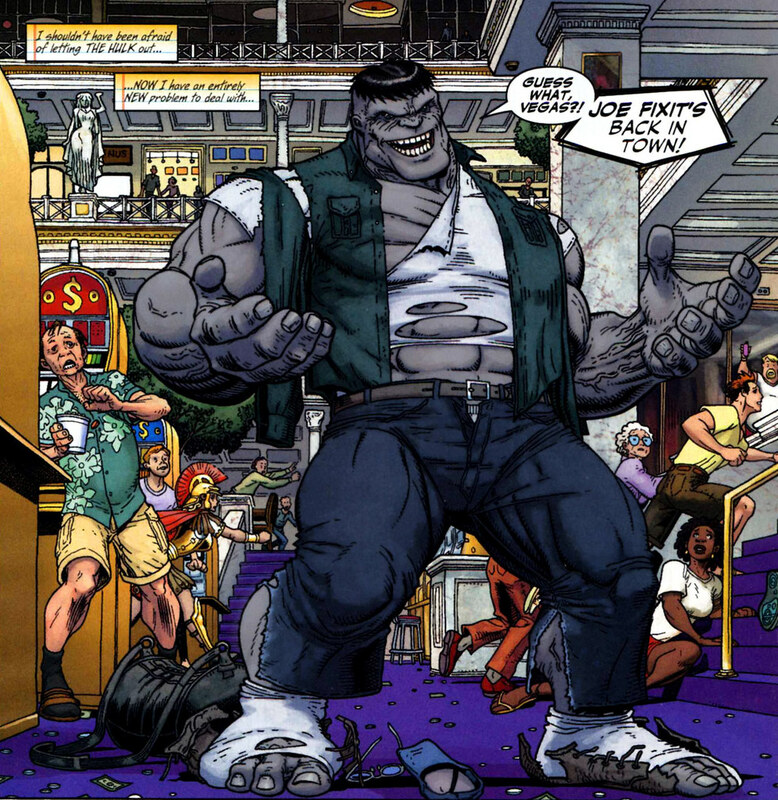 Issue Seven is split between the “Banner” Hulk and the Red Hulk backup story. The Backup story revolves around She-Hulk getting together a All Girl Hulkbusters group to take on the Red Hulk. It reads like an old “funny” She Hulk story, which is okay, but really, “She Hulk” is funny enough without being constant comic relief.